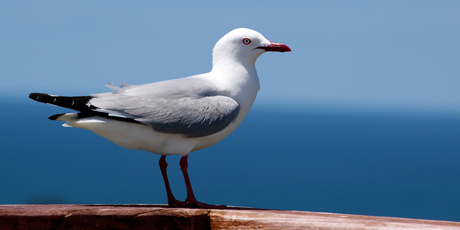 They are the scavengers of the sky, and now they are dining out at the expense of Mount Maunganui’s cafe scene. Menacing seagulls are dive-bombing al fresco customers, knocking over coffees and defecating on cafe patrons. Cafe Cabana barista Luke Edmond said staff at the Marine Parade eatery replaced coffees and meals about three times a week because of birds swooping in and causing chaos. “Just the other day one of our regulars was sitting down here drinking a bowl latte. “The bird actually landed in the bowl, flew up and pooed on her. And of course when it spread its wings to fly away, it flicked coffee on everyone else in the area,” he said. The cafe replaced six coffees and four meals.